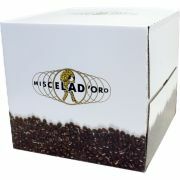 Miscela d'Oro Espresso Natura is a blend of high-quality Arabica (50 %) and Robusta (50 %) coffees. This dark roasted, full-bodied espresso coffee can be enjoyed on its own or in milk coffees. The Espresso Natura is a very smooth and full bodied espresso with the sweetness and the acidity in perfect balance. The long and pleasant aftertaste highlights the coffee experience. 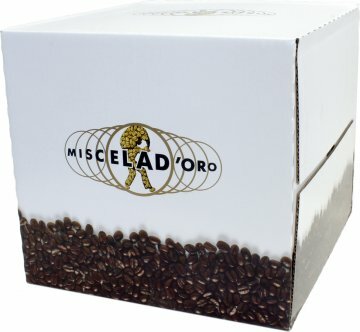 This coffee is great as an espresso but also excellent in milk coffees. The production and the coffee is Organic- and Fairtrade certified.